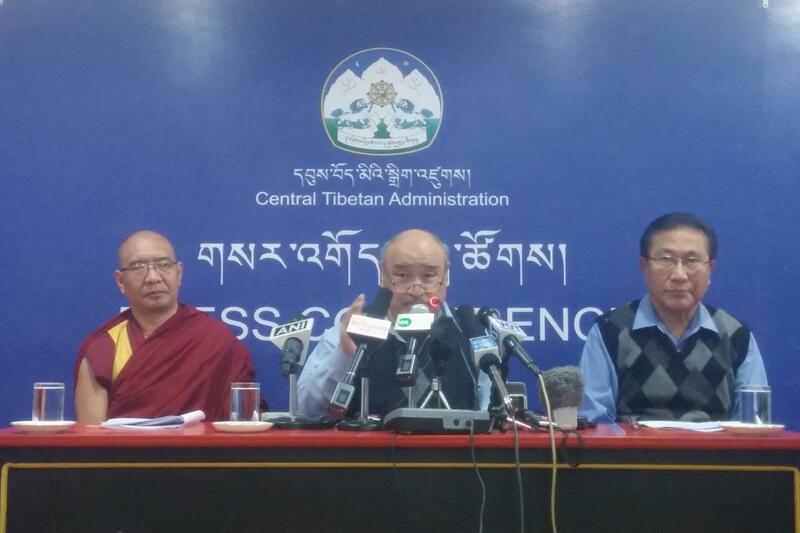 The Election Commission of the Central Tibetan Administration announced the results of the preliminary round of Tibetan Elections on 4 December 2016. The polling was held on 18 October to elect a Sikyong (Prime Minister) and 45 Chitues (Members of Parliament). 47,105 Tibetans voted at 85 locations around the world. Tibetans in India, Nepal, and Bhutan choose 10 members each from their respective province: Amdo, Kham, or U-Tsang. The monks and nuns elect two representatives each from their respective religious school: Bon, Gelug, Kagyu, Nyingma, or Sakya. Residents of Australasia (excluding India, Nepal, and Bhutan) elect one, and of Europe and North America elect two representatives each. Go to breakdown of sikyong election results collected by Tibet Sun. Dear Mr Bhod, I feel you may be totally influenced by the Dawa Tsering, MP, Utsang. Your version on Yongling school is not like this way as you said. To my understanding, Yongling school building is not owned by Dawa Tsering and is not his property. He didn’t accept the verdict of Supreme Justice Commission and went for local court, which I think being a member of Parliament and legislature member, he is totally against to the law of Exile. So he doesn’t deserve the vote and Utsang public must aside him from the candidate list this time. To all my new top-listed Dotoe Chithue: If you guys come to MP, it is a must to change your facial expression while debating in the House. Your aggressive looks always minds us and we get scold from colleagues and same time we feel “Why”. It would be good to change your attitude while in the House. When you are on this chair, you should speak, speak on behalf of the general public; don’t remain mum. And to learn Tibetan language is very important. With regard to Chitues, if I am given chance to kickout a member each from three Cholkhas, these would be Tsering Youdon (at no. 9) from Amdo, Yangchen Dolkar (at no. 3) from Kham and Dawa TSering (at no. 8) from U-tsang. I don’t find them interesting in the parliament. They are not effective enough. I also don’t feel Sharling Dadon, and Karma Yeshi from U-tsang so useful. I find them doing some talks but without any meaning. Penpa la, I agree with you. U-tsang chitue Dawa Tsering in particular doesn’t fulfil the chitue criteria, which says that a member to be elected in the Parliament shouldn’t have any criminal record against him. Mr Dawa Tsering has a criminal case of owning public property. Both Tibetan and Indian courts gave verdicts against him. So how can he be in the elections in the first place, and why Tibetan people are not being honest. The morality of the Tibetans is going down. Please wake up. Also request Election Commission to be fair and go by the rules. The Yongling school is not at all a public property. First try to understand what does public property mean. The school is the initiative of Dawa Tsering and his friend, it is neither established by DOE nor by TCV nor any public sector cooperative. I know and saw how the parents of Dhasa facing difficulties without kindergarten school, during such period the light of Dawa Tsering initiative came out. We also supported him during that difficulty period, none of the parents of Dhasa are claiming the Yongling as public property, it is the gift of few dirty politicians of society during that time. Not so happy with the Sikyong result. Sangay has won the elections, but we failed; Tibetans failed. All I am asking is about his achievements in the last five years. He kept saying I brought money. This is as if Samdhong Rinpoche didn’t bring money. In fact, it is His Holiness who brought all the money for us to survive and sustain over the years. It looks like he will win, but my vote is not for him. I think people should ask themselves what Sangay has done in the last five years and what he is likely to do in the next five years. Please think properly and make the right decision for us and for Tibet. Bod Gyalo. True democracy played its hand and the one that most Tibetans thought is capable to lead won by a majority. Whether you are happy or not is another question, probably with personal reasons, however we should as Tibetans all be happy as we are maturing towards a successful democratic system. It seems like some of the currently serving MPs are going to be in the Parliament again for next five years. There are some MPs who are just there to fill the chair. Nether critical talks nor participate in the debates. They are solely winning due to backings or family names. They should be ashamed to be in the Parliament. There is obviously an error in the poll. Tenzin Rangdol, chitue candidate for NA, is absent from the list published here. He is thought to have won the second place in the election in NA. I am wondering if it is a technical glitch by Tibet Sun, or, for that matter, the election commission. There’s a considerable confusion among my friends in the curious case of the missing candidate. Many thanks for any elucidation! Why isn’t Tenzin Rangdol’s name listed with the other North American chitues? I thought he got second-most on the premier election? I am sure this is a typo error from our EC… I hope they can look into this.